Many telescopes and detectors are placed in remote locations and operate under harsh conditions, such as extreme temperatures and drought. 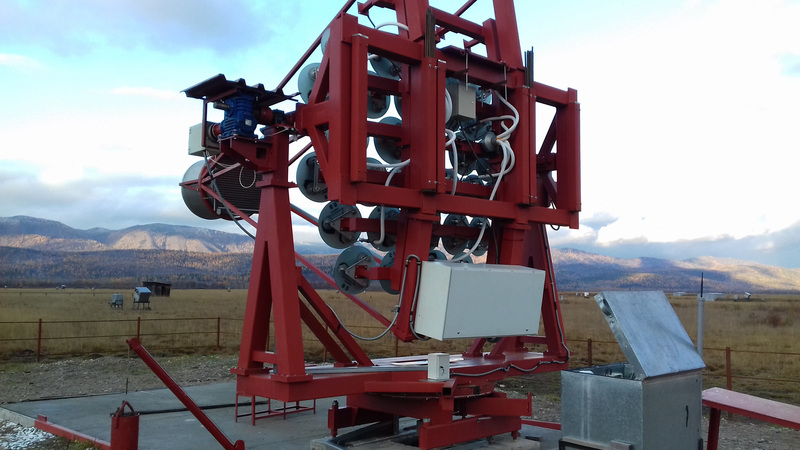 White Rabbit (WR) hardware was tested in real field conditions in the context of the Tunka Advanced Instrument for Gammy ray and cosmic ray Astrophysics (TAIGA) project in Siberia, 50 km from Lake Baikal. 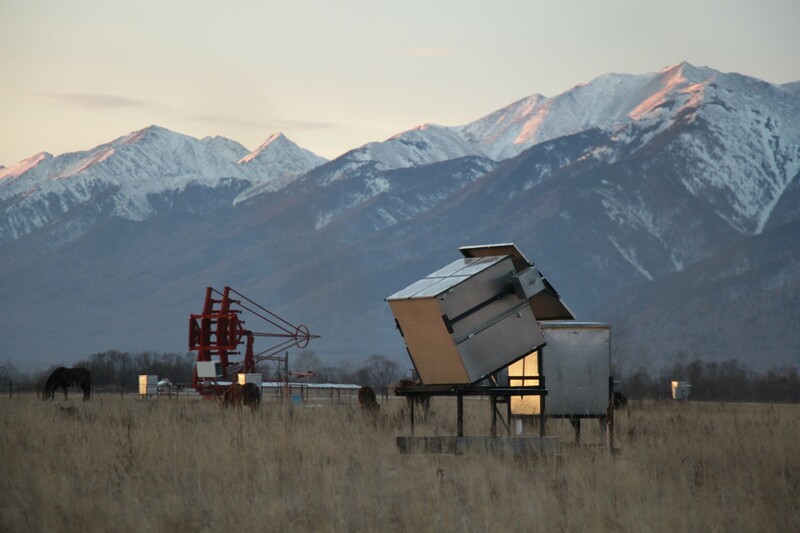 The TAIGA project combines Imaging Atmospheric Cherenkov Telescopes (IACTs) with an array of wide-angle non-imaging optical detectors of the TAIGA High Sensitivity Cosmic ORigin Explorer (HiSCORE) array to proof a new, cost-efficient technology for very large area Gamma ray telescopes, for energies beyond the Cherenkov Telescope Array (CTA) range. The TAIGA-HiSCORE stations each contain four large area photomultiplier tubes (PMTs) and WR nodes that allow for subnanosecond time alignment of all stations distributed over an area of 0.4 km2. The setup in Siberia allows to do a comparison of various types of WR hardware under harsh circumstances and to perform an extended monitoring of the stability of such a complex setup in long-term exposure. Testing of the WR hardware in field conditions is ongoing during the winter of 2017-2018. An unexpected discovery was made, while routinely operating the HiSCORE array with the sub-nsec precision timing mode. The International Space Station (ISS) passes over the TAIGA HiSCORE detectors at a height of 400 km a few times per year and has a laser beam (CATS-LIDAR) directed at earth. The full HiSCORE array is illuminated by the ISS/CATS-LIDAR ultra-short laser pulses at the same moment. This laser beam turns out to be a unique calibration tool, and proves the stable WR-operation. More importantly, it allowed for the first time verifying the absolute astronomical pointing of TAIGA-HiSCORE in standalone operation – a task that usually requires intense astrophysical sources at energies, well above current detection limits. Other ESFRI facilities like CTA, but also current IACTs, might profit from this serendipitous discovery. 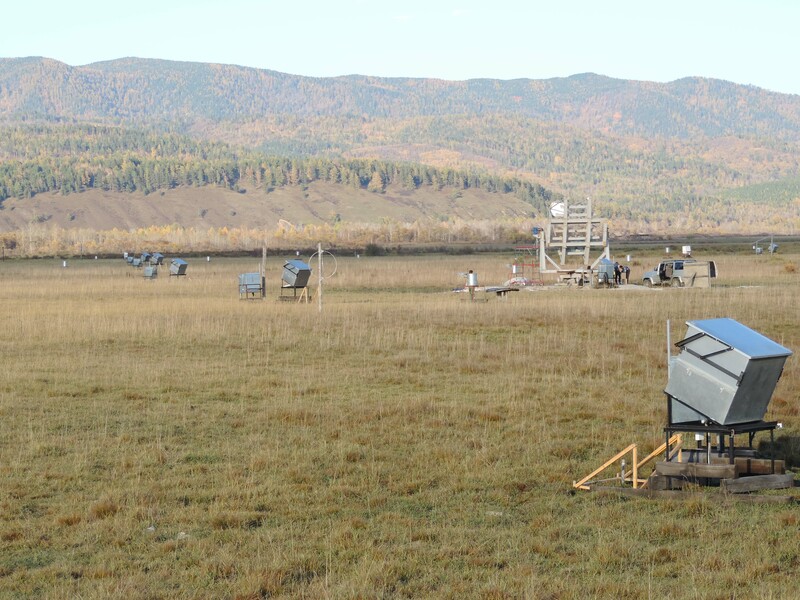 A HiSCORE station with its electronics box in the foreground and an IACT under construction in the background, located in the Tunka valley in Siberia. Credit: Taiga Collaboration. 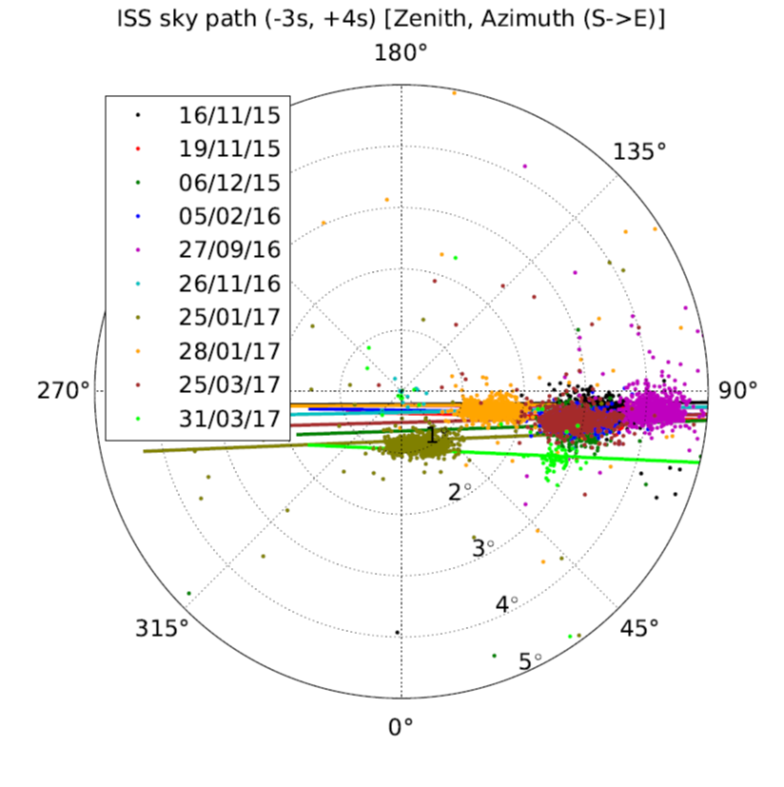 ISS detections by the HiSCORE stations between November 2015 and March 2017. Each dot is a laser beam direction derived from > 10^4 photons, seen by HiSCORE stations, operating at sub-ns station time synchronization. Credit: Taiga Collaboration. HiSCORE stations with WR-devices in the field at the TAIGA project. Image credit: Ralf Wischnewski (DESY). An IACT with mirrors and camera. The camera electronic box on the right has a WR-device inside (almost visible). In the background the HiSCORE stations are visible. Image credit: Ralf Wischnewski (DESY). 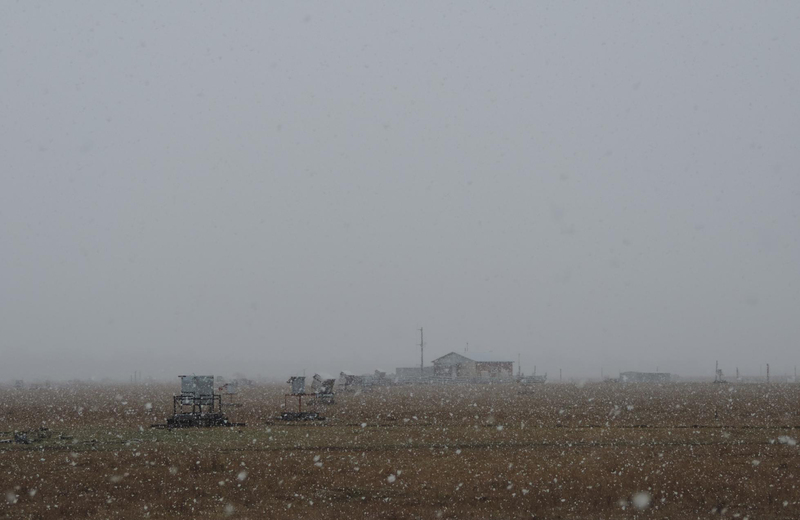 Wintry conditions at the TAIGA project. Through the snow 3 HiSCORE stations and the “counting room” (the wooden building) with all central computers and the White Rabbit central hardware are visible. Image credit: Taiga Collaboration. 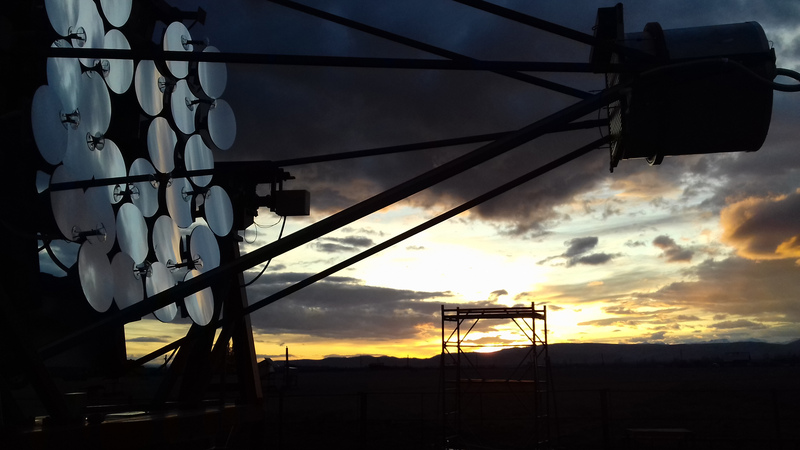 Close-up of an IACT at sunset. Image credit: Ralf Wischnewski (DESY).